I was sick at home and I found out about Creme's one big secret! 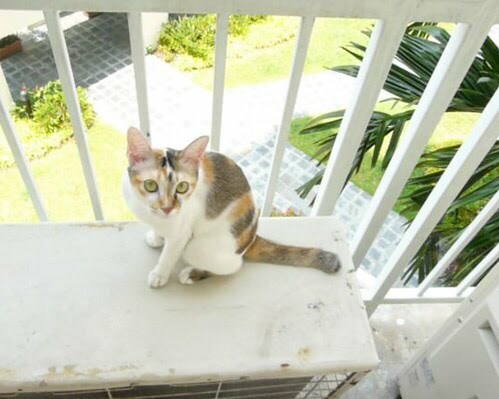 She has been sneaking out to the air-con ledge to enjoy the breeze! How did that happened? 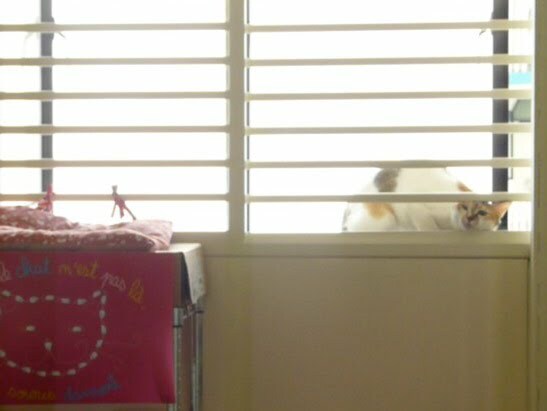 I couldn't believe it because we have purposely built a brand new window grille to prevent Creme from venturing out of the window. We measured her head and made sure that the openings are too small for her to squeeze through. So how did she manage to get out? The answer lies in how Creme comes back in. Watch this! I was speechless! The most bottom grille has a slightly wider opening, and she took that opportunity! Hmm...we really have to fatten up Creme so that she no longer can do this.